Many services all over the world wide web require you to pay via PayPal. Why? Because it’s easy, convenient, and provides many useful features, securities, and possibilities for both, buyers and sellers. Yet, not everyone feels safe using and registering for PayPal, and linking their bank account information to their new PayPal account. PayPal fraud is still something many people are afraid of. All that’s needed – most of the time – is clicking on one link to give your private information to someone on the other side of the net. Some sellers, however, offer you to pay for their services via PayPal without creating an account! If you, for example, want to sign up for one of the premium services of Online-Convert.com, all you need is a credit card. If you decided for the service package you want to purchase, you will be automatically directed to PayPal. The standard view is the one displayed below. Yet, after being prompted to log in to an existing PayPal account, many don’t look further. If you want to pay with your credit card without signing up on the page, you should do that though. Click on “Pay with Debit or Credit Card”. Now, you are presented with a form that requires the information about your credit or debit card. Depending on your country, you may also be asked to enter your address, email address, or phone number. To continue after entering all the information necessary, simply click on “Pay now” at the bottom of the form. Afterwards, you will be asked whether you want to create a PayPal account. If you decide to do so, you can register with the information entered. If you still have no desire to use PayPal more regularly by entering your information, you can – of course – decline. With getting the confirmation of PayPal that your purchase has been made, the services you ordered will be available for you immediately. 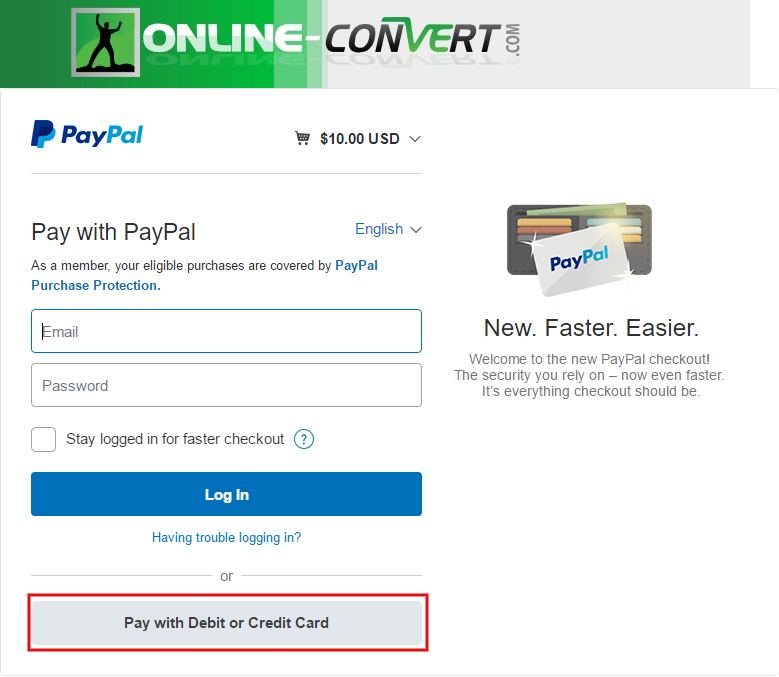 While Online-Convert.com offers the service of paying with credit card instead of creating a PayPal account, not everyone does. Sellers can choose to disable this feature, only enabling you to pay when having an account with PayPal. Furthermore, it may be that your country isn’t supporting this kind of payment. In case the problem lies within PayPal though, it may help to clear your browsing data and delete the cookies. 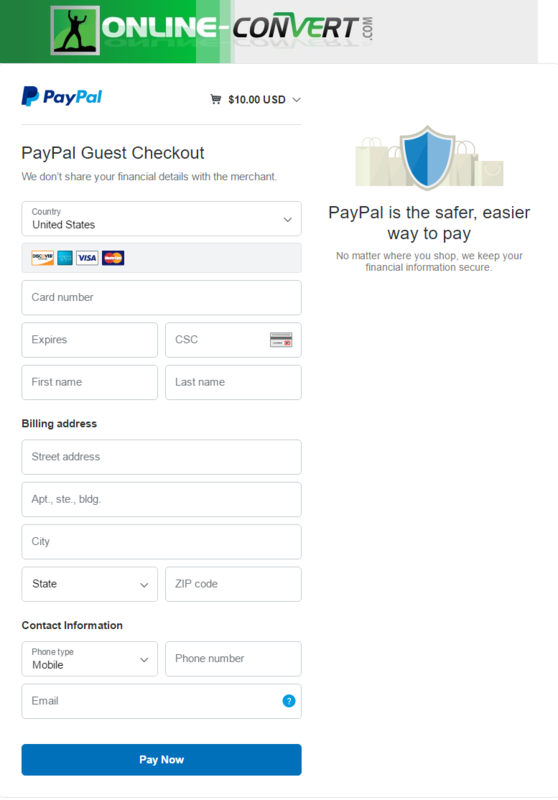 If PayPal is not accepting your credit card, it may also be that you already have an account that is linked to your card’s information, preventing the site to pay with it without logging in. 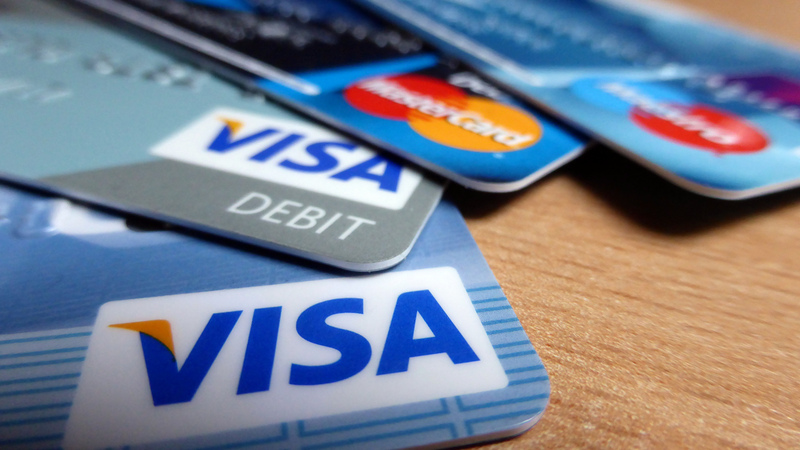 For more information about paying with credit or debit cards, please visit the PayPal customer support page. EDIT 11/08/2016: We have updated the screenshots and our article since PayPal did a few changes.